Fort Wayne Derby Girls Bomb Squad and Killamazoo Derby Darlins (Kalamazoo, MI) played at the Memorial Coliseum on April 2nd, 2016. The teams last skated in Kalamazoo, Michigan on January 23rd, 2016. The January game ended in a KDD victory by one point. Fort Wayne took an early lead. Heidi Orr widened Fort Wayne’s lead with a 14 point pass in period 17. Tessa Marshall, a recent Fort Wayne Derby Brats transfer, followed up with a 9 point pass. #26 Marshall was Fort Wayne’s second highest scorer with 41 points. Marshall was a skater for the 2015 Team USA Jr. Roller Derby team. #69 Pushy-Cat was the highest scorer with 51 points, over a third of Fort Wayne’s total points. Fort Wayne held the lead through the first five minutes of the second half, 90-71. Jessica Crouch (Kalamazoo) took lead for KDD after scoring several double digit passes. The score was 135-161 at the final period. Tracie McBride was fielded against Jessica Crouch. #105 McBride was called off for a penalty, leaving Crouch, who was then called off for a penalty as well. Crouch re-entered the track shortly before #105 and scored one final point. Final score, 146-162, Kalamazoo victory. 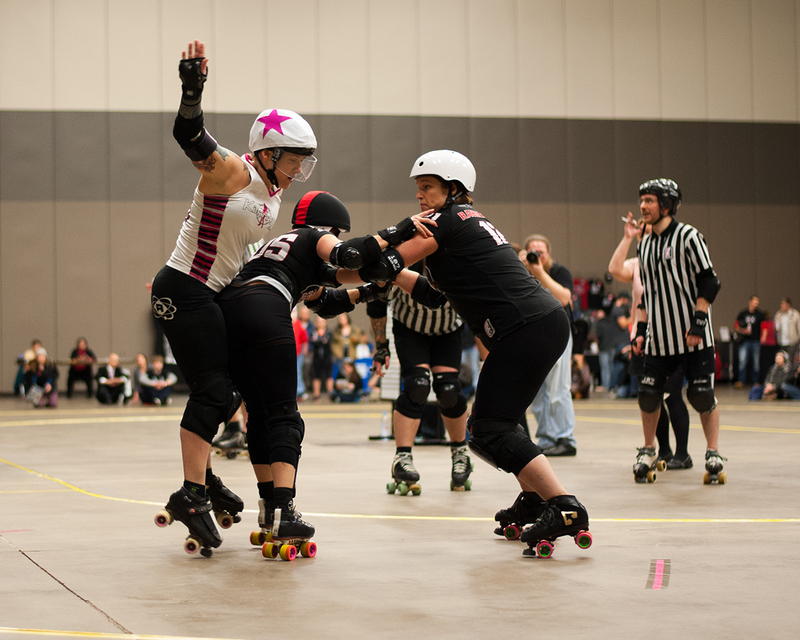 The Fort Wayne Derby Girls’ SWAT team played Lake City Roller Dolls (Warsaw, IN) in the second game of the evening. This was the first game of the season for Fort Wayne’s second team. Fort Wayne took victory with a final score of 138-111. The last home game of the home season is April 30th, 2016, 5:00pm, at the Memorial Coliseum, Fort Wayne, IN.